Don’t you just feel like this sometimes? I’ve been reflecting a lot on this as I practice approaching things, not from my habitual way of doing it, but by asking if I have another perspective to come from, and see what is illuminated for me. And I’m loving it. Just as I find any painting pretty much a new experiment, which keeps me open and curious, this practice is making my life richer, and more fun. 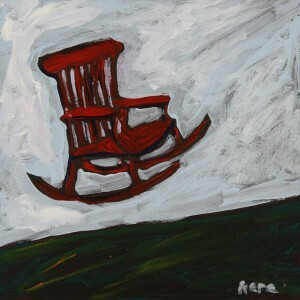 So for me, today, this painting is flying, and jumping for joy! And of course that feels great. Tomorrow may bring something else, and I’ll let it be new, and see what I discover.